Trust me, you’ll never look at those plastic shopping bags of zucchini accumulating in the church foyer the same way again. And if you’re the one with the excess zucchini, give your friends and neighbors a copy of this recipe. I guarantee they’ll stop running every time they see you approaching with those overloaded plastic shopping bags! Cut chicken breast into 1” cubes. Heat 1 tsp. olive oil in non-stick pan. Sauté chicken until cooked through. Remove and shred with a fork. Add onion and sauté for about 2 minutes, then add pepper and zucchini. Cook over low to med. heat for additional 2 minutes or until veggies are cooked, yet firm. Return chicken to pan and stir. Sprinkle the cumin, pepper and salt over the mixture and stir. Cook a minute or two, then stir in salsa. Meanwhile quarter the tortillas. Spray baking sheet lightly with cooking spray and lay tortillas on pan (one layer deep.) Spray tops of tortillas lightly with cooking spray. Broil until slightly toasted, flip tortillas and broil other side until toasty. 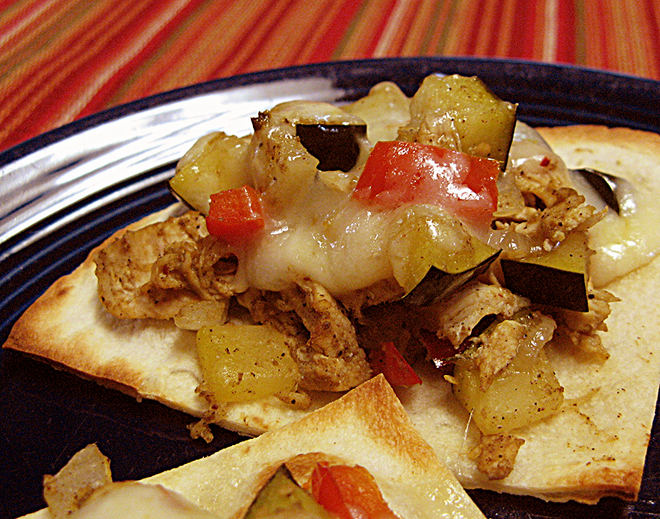 Next, drop spoonfuls of the zucchin-chicken mixture onto each tortilla quarter and sprinkle with shredded cheese. Return to oven and broil until cheese is melted. Enjoy piping hot from the oven! Caught in the middle of the summer zucchini explosion? Read about how I tasted sweet victory in “the big challenge” . 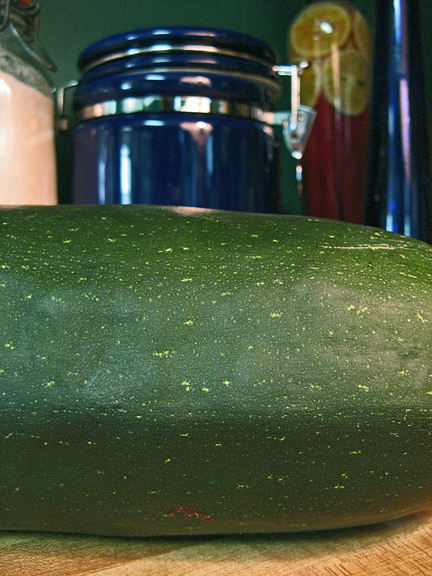 Need zucchini recipes from an expert, check out Mary Ostyn’s blog Owlhaven. She cooks for her husband and ten kids, so she knows her stuff!